Waking up with the sound of birds in the background. The night before you have enjoyed a fine dinner in our restaurant with excellent wines. Your room, our restaurant, our wellness centre; everything in the Rosep is perfectly fine! Get away from the everyday hustle and bustle. Quality time in the pleasant surroundings of the Oisterwijk forests. Hospitality is in our genes. De Rosep is a successful family business for over 32 years. We are proud that we always manage to be new and surprising. The result? A tasteful hotel, where everyone feels welcome. 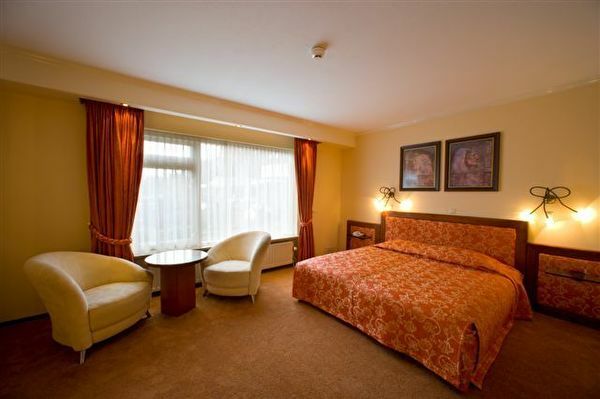 Lovers, athletes, businessmen, and children enjoy the luxurious rooms with all amenities. Like a good mattress, bath and Wi-Fi internet access. For sports and relaxation you don’t have to go away. Our hotel has its own swimming pool, tennis court and fitness centre. The beautiful Oisterwijk forests and fens in the area need to be explored. We have (electrical) bicycles or mountain bikes for rent. Feel welcome in The Rosep and its beautiful surrounding nature. 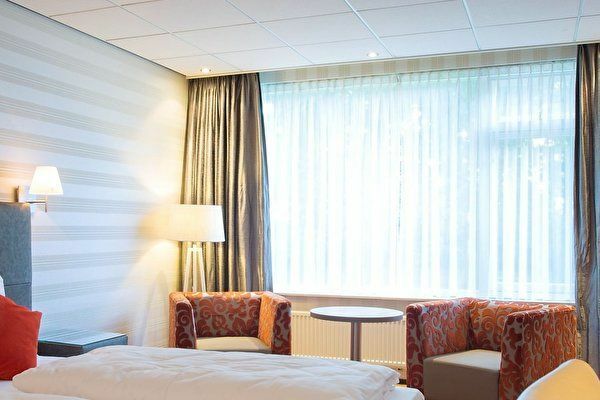 Our Standard rooms are spacious rooms equipped with a telephone, flatscreen TV, wake up service, free wireless internet, safe, minibar, full length mirror, desk, tea facilities and sitting area. 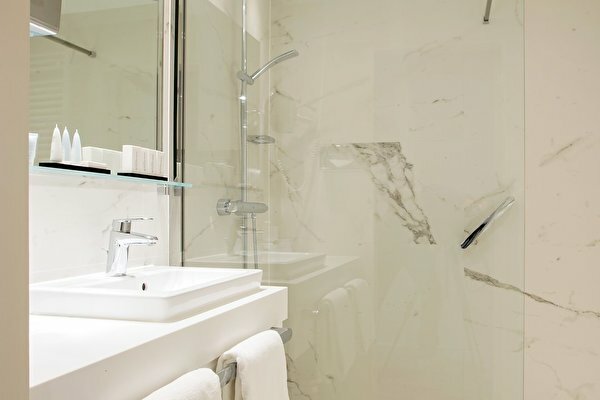 In the bathroom you have a tub with shower, toilet, sink, bathroom amenities and hair dryer. In your room there is a Handy device which you can use for free telephone calls, browsing on the internet or downloading apps. These Standard rooms have off course an Air-conditioning and are also equipped with a telephone, flatscreen TV, wake up service, free wireless internet, safe, minibar, full length mirror, desk, tea facilities and sitting area. In your room there is a Handy device which you can use for free telephone calls, browsing on the internet or downloading apps. In the bathroom you have a tub with shower, toilet, sink, bathroom amenities and hair dryer. 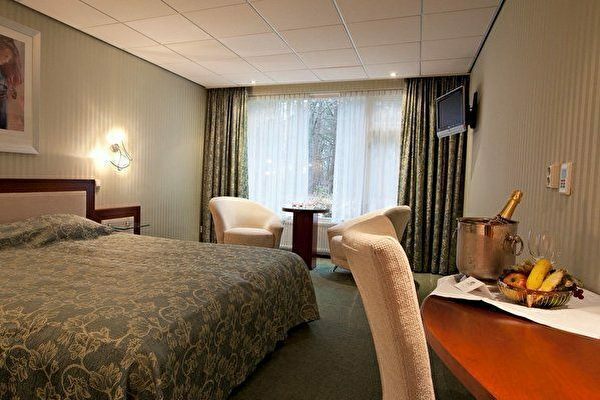 Our Comfort rooms are modern, comfortable rooms which are situated in the centre of the hotel, so you can quickly reach the wellness center, restaurant, breakfast room and reception. The rooms are equipped with a telephone, flatscreen TV (50 inch), free wireless Internet, safe , minibar, full length mirror, desk and sitting area. In your room there is a Handy device which you can use for free telephone calls, browsing on the internet or downloading apps. In the bathroom you have a bath / shower combination, toilet, sink and hair dryer. Our comfort plus rooms are spacious, newly renovated rooms equipped with telephone, flatscreen TV , tea facilities, wake up service, free wireless internet, safe, minibar, full length mirror, desk and sitting area. In your room there is a Handy device which you can use for free telephone calls, browsing on the internet or downloading apps. We have 2 different Comfort Plus rooms. 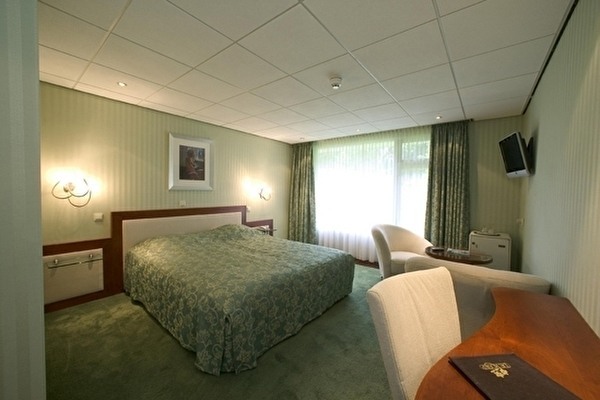 We have Comfort Plus rooms which are located on the 1st floor and therefore have beautiful views in the green. 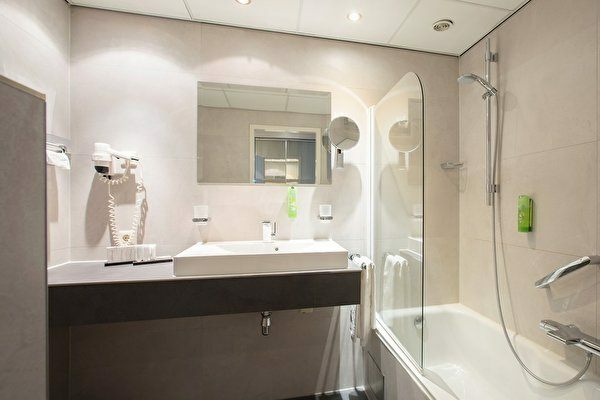 These rooms have a bath / shower combination, toilet, sink, bathroom amendities and hair dryer in the bathroom. 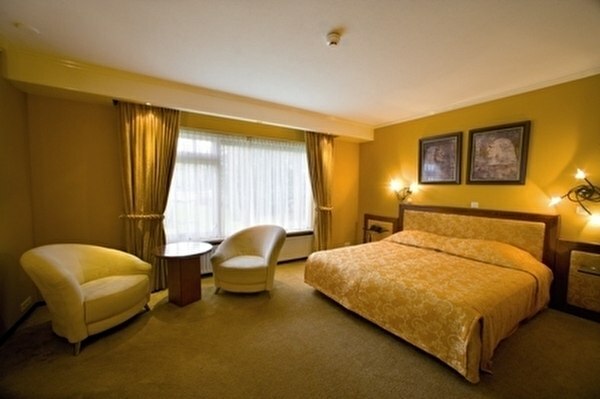 In addition, we have Comfort Plus rooms which are located on the ground floor, near the reception, restaurant and entrance. Some rooms have a walk-in shower. There is no bath available. In the rooms are bathrobes & slippers to use for the Wellness centre. 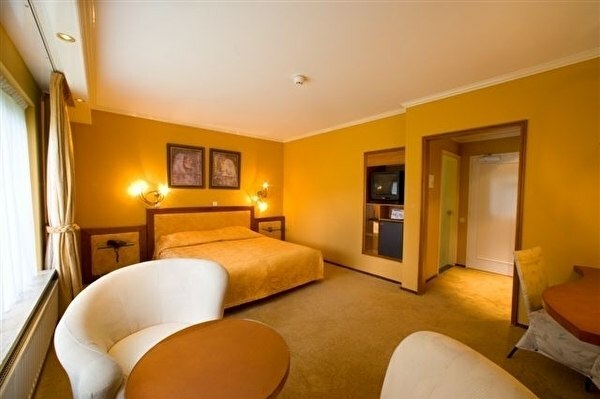 Our Deluxe rooms are very spacious rooms equipped with a telephone, flatscreen TV, wake up service, free wireless Internet, safe , minibar, full length mirror, desk and sitting area. In your room there is a Handy device which you can use for free telephone calls, browsing on the internet or downloading apps. In the bathroom you have a bath / shower combination, toilet, double sink and hair dryer. There are bathrobes with slippers and a big sauna towel available in the room to use for the Wellness centre. Our deluxe rooms have views of our pond and garden. 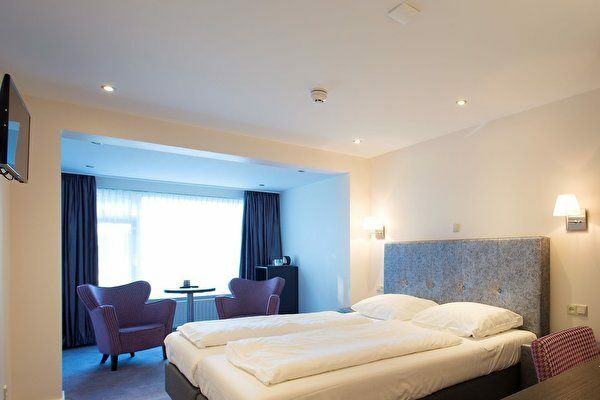 The luxurious rooms are situated in the centre of the hotel, so you can quickly reach the wellness center, restaurant, breakfast room and reception. Our Junior Suites are very spacious rooms equipped with a double bed, telephone, Flatscreen television, wake up service, free wireless Internet, safe, minibar, full length mirror, desk, Nespresso machine, tea facilities and sitting area. In your room there is a Handy device which you can use for free telephone calls, browsing on the internet or downloading apps. In the bathroom you have a jaccuzi with shower, toilet, sink, bathroom amenities and hair dryer. There are bathrobes with slippers and a big sauna towel available in the room to use for the Wellness centre. 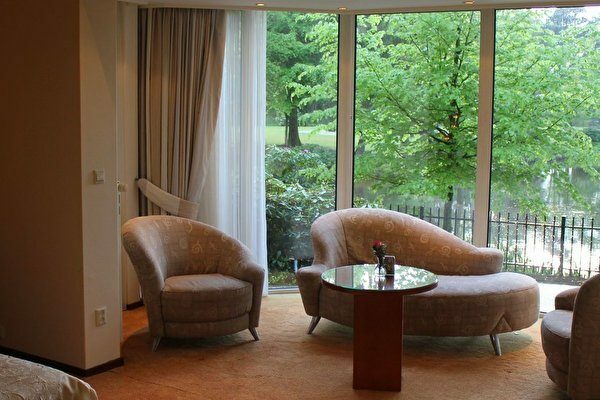 Our Junior Suites offer a nice view into our garden. Our suites are very spacious rooms equipped with a double bed, telephone, Flatscreen television, wake up service, free wireless Internet, safe, minibar, full length mirror, desk, Nespresso machine, tea facilities and sitting area. In your room there is a Handy device which you can use for free telephone calls, browsing on the internet or downloading apps. In the renovated bathroom you have a jacuzzi with shower, toilet, double sink, bathroom amendities and hair dryer. We also have a suite available with a separate shower. There are bathrobes with slippers and a big sauna towel available in the room to use for the Wellness centre. The suites have a view over our garden or our pond.